Garnet center gemstone weighs approx. 1.50 Carats. 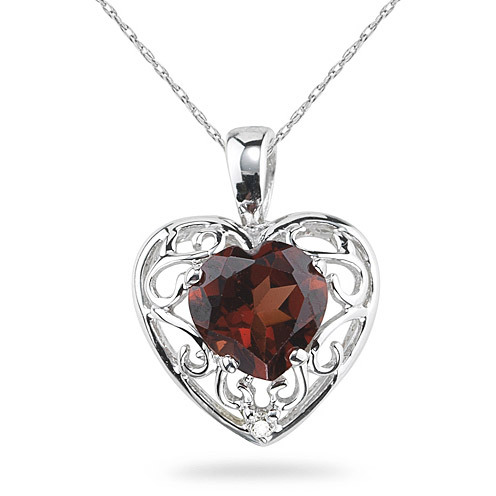 We guarantee our Garnet Heart and Diamond Pendant, 14K White Gold to be high quality, authentic jewelry, as described above.